Specifications: 1.Change your hair into black in 5 minutes 2.Just like using ordinary shampoo, fast and convinient 3.Awesome effect Best Hair Shampoos: Like using normal shampoo, in 5 minutes best hair shampoos changes your hair to black. Best hair shampoos is suitable for men and women, and lasts more than four weeks until your new white hair grow out. Features: 1. Convenient Easy in operation, just like using normal shampoo. 2. 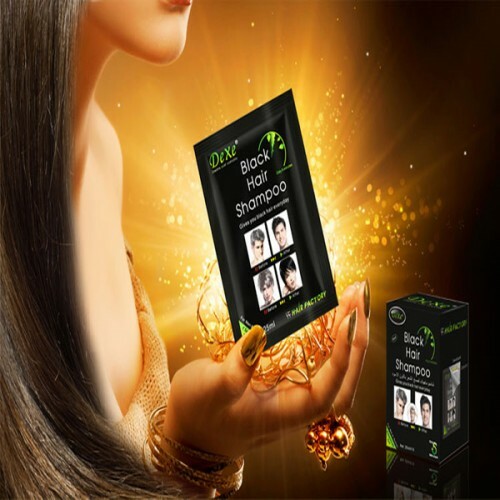 Time saving Only one sachet can give you black hair and shining hair in 5 minutes. 3. Cost saving Compared to the expensive cost for dyeing hair in the hair salon,the hair black shampoo is more than 10 times cheaper. 4. Natural and mild Best hair shampoos is a hair-care product in a formula of natural luxurious French herbal medicines,developed by Yucaitang International Research Center based on the charateristics of hair of Oriental,combining international advanced biolagical hair-care technology with secrete recipe of traditional French medicine extraction. Direction: 1. Put on gloves (otherwish the nails will be dyed grey,although that does not affect health) 2. Make your hair wet with both your hands. 3. Wipe off the water on the hair. 4. Pour two component bottles of "Wash for black"by 1:1 onto your palm,Mix them gently(the quantity is about twice that of a normal washing) 5. Promptly put the shampoo on the hair and rub it until it reaches the bottom of the hairs,then rub the hair for 5-10 minutes so that the shampoo moistens the bottom of each hair. 6. Wash the shampoo away. 7. The hair will become dark and shining.